The Kingdom of God – thoughts and a study sheet download! You may not even realize it but when you recite what we know the "Lord's Prayer" (which should really be called the "Disciple's Prayer), you often slip past one of the most powerful prayer requests without giving it much thought. You do! I know, because I do the same thing. We ask, we plead, we submit ourselves to a prayer which calls for God to MAKE HIS KINGDOM KNOWN HERE, not just in heaven. The Kingdom of God is amongst us, that's what Jesus said. He wasn't pointing to the great "by and by"…He wasn't promoting the idea that we should focus our attention on heaven and not on the mundaneness of our daily lives…He wasn't just talking about something to look forward to…what He was talking about, and challenging us to pray for, is that the KINGDOM WOULD BE PRESENT NOW. That's right, NOW! 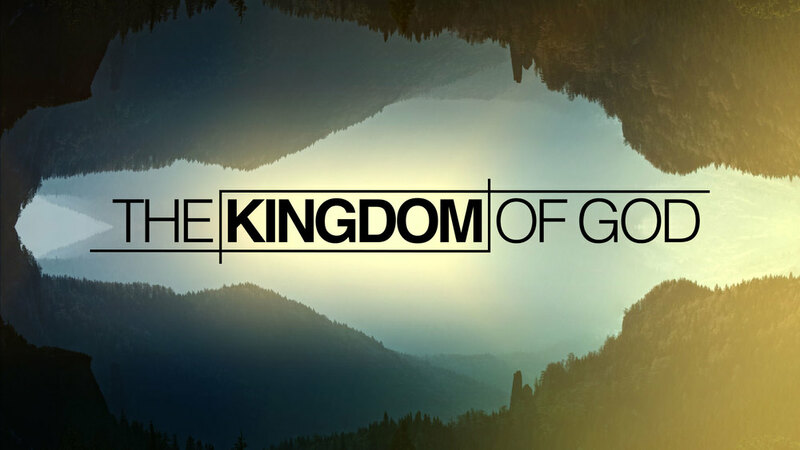 Here are some thoughts on God's Kingdom. We live in it…it is in places of our lives where we least expect. God is revealing Himself in miraculous ways and we join in His Kingdom restoration. Yes, heaven is real but in many respects, we start to live eternity NOW! Look for God's Kingdom. Pray that the realities of God's Kingdom would be present in your life – TODAY! Join Jesus in what He is doing and let His Kingdom come! The Kingdom of God is the rule of God. And it rests upon the Lordship of Jesus Christ. The Kingdom of God produces the church . . . the community of the King. The church, in turn, submits to the sway or rule of the Kingdom. As it does, the church expresses, represents, and advances God's Kingdom on the earth. Properly conceived, the church is the community of believers who possess Divine life. This community joyfully enthrones Jesus Christ, expresses His sovereign rule in the world, and as a result, enjoys the blessings of the future age here-and-now (Rom. 14:17; Heb. 6:5). According to the New Testament, the church is not a building. Neither is it a denomination, a religious service, nor a non-denominational organization. The church is a living organism. It is simply this: A community of people who possess the life of God's Kingdom and who express it together. Your New Testament contains the epic saga (story) of the early church. That saga centers on how God the Father has made Jesus of Nazareth both Lord and King of the universe. According to the Gospels, the master thought and action of Jesus was the Kingdom of God which is "at hand." The book of Acts continues this thought and action and tells the story of how the Kingdom made its introduction in Jerusalem and spread to Rome through the church – the community of the Kingdom. The Kingdom of God is a dual reality. It is "already," but it is "not yet." The Kingdom is present. At the same time, it is future. The Kingdom is today; but it is also tomorrow. In effect, the future age of the Kingdom is present on the earth even though it is a future reality. With the coming of Christ, the Kingdom that belongs to the future age has broken into this present age. Consequently, those Christians who gather as a shared-life community under the Lordship of Christ are living in the presence of the future. The Kingdom of God is also a mystery. It does not set out to destroy human authority in this age. Instead, the Kingdom destroys the powers and principalities in the spiritual realm. Its enemy is the kingdom of darkness and the ruler of this age (Satan). Put another way, the Kingdom of God does not seek to change the political order of things by fleshly effort. It rather makes changes in the spiritual order that affect the lives of men and women at a deeper level. The Kingdom works quietly and secretly among men and women. It is not a forceful power that cannot be resisted. The Kingdom is rather like a man planting a seed. Its success depends on the type of soil in which it is planted. Like a mustard seed, its growth is slow and imperceptible. Yet at a future day, the Kingdom will be manifested in great power and glory. The fact that the Kingdom is fulfilled today, yet it is waiting to be consummated, is indeed a mystery. In all of Paul's letters, the theme of the Kingdom of God appears. However, Paul's letters were primarily written to Gentile audiences. Thus he speaks more of the Lordship of Christ than he does the Kingdom of God. For Paul, Jesus as Lord is a synonym for the Kingdom. In addition, terms such as "reigning," "rule," "majesty," "Lord Jesus Christ," "King of kings," "Lord of lords," "Christ the Head," "the age to come" are all Paul's shorthand ways of describing the Kingdom. Lastly, one of my buddies, Dave Moore, put together a study sheet on God's Kingdom. It is excellent and by posting it here as a download, you'll be enriched with a good study and knowledge of a man who not only "gets it" but is able to share it as a teacher and mentor. ← Subversive Followership – you read that right!